One day I will convince people that their Government is not theirs anymore. There is America, and then there are Americans. They are not the same thing. America is managed without Americans. Our Government is looking to raise taxes by $1.3 Trillion for 2015. That’s trillion. It’s gotta come from somewhere, and you live in Somewhere. Remember that when a Government like ours is spitting up blood, wheezing through its nose and clutching at its chest trying to stay alive under $17T in debt while carrying millions of welfare recipients on its back, building massive NSA data storage centers to keep your emails and texts, providing “free” healthcare, and still dropping bombs on civilians all over the world – no penny you earn is off the table from Uncle Sam the tax man. Remember too, that a nation dying is a desperate nation, not unlike a racoon cornered in your garage. Same results if you poke it. The Tea Party poked it. Dinesh D’Souza poked it. Breitbart poked it. Look what happened. The net effect of these new taxes on individuals? Your taxes are going up. Net effect on businesses? Nope. Still your taxes going up. When taxes on businesses go up, your taxes go up, because taxes are a cost of doing business so they are just baked into the price you pay for everything at checkout. So here’s today’s new tax! 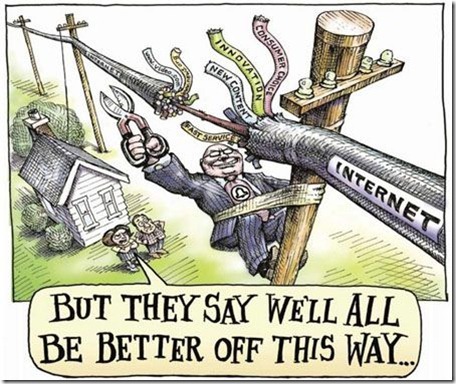 The FCC is voting on February 26th whether or not to begin taxing internet service. The FCC is the one that taxed the hell out of your old phone line. They don’t have the legal authority to tax the internet because it’s not a phone and the internet wasn’t born yet when the FCC was born, but they are going to do it anyway. And once they do, they will have secured “de facto” control of the internet. Now they will call the shots. They will run the show based on the precedent of being “allowed” to tax the internet. That’s how Government do. Remember your old land-line phone bill with all those fees and taxes on it that were almost more than the price you were paying for the phone? And we were all, “oh so happy” to go to VOIP and use our cell phones instead of our land lines. Ripping the phone cord out of the wall was the smell of victory. Well that tax and fee mess on your old phone bill is coming to your internet bill. So you thought you won the obscurely named and ambiguous phone tax and fee war when you dumped your phone line? 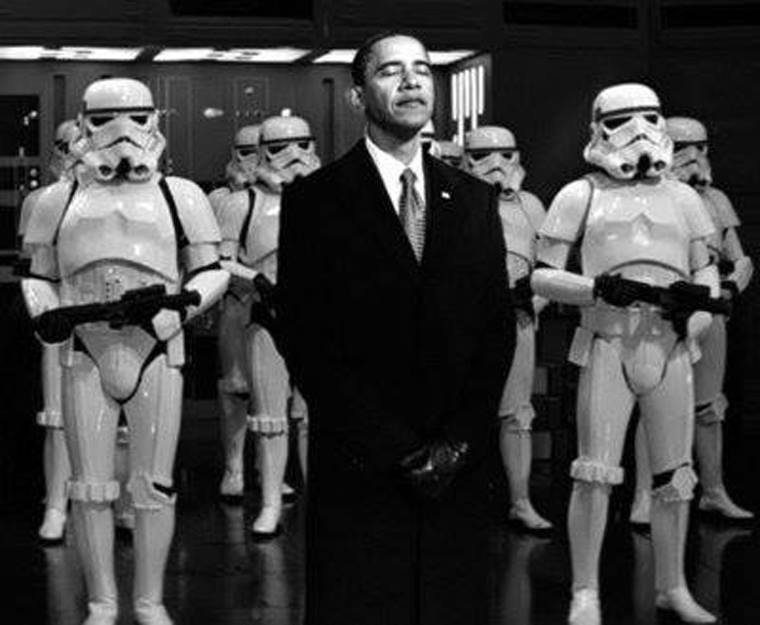 But the Empire Strikes Back! Remember that the Government is insolvent. They are grasping at anything for tax revenue. They are raising taxes where they can and creating new ones, all the while destroying your purchasing power with the help of the Bankers at The Fed (called inflation, which is also a tax). The income tax in 1913 was 1% on those making the equivalent of over $10M in today’s money. Are you making more than $10M? Are you paying income tax of more than 1%? So what happened? Government happened. They start with a little and then they take a lot. You’ll start by paying a 1% internet access fee but your kids will be paying 28% for the same service by the time you’re in a rocking chair – assuming they can get a job – assuming Obamacare hasn’t killed you. Taxes added to gasoline to pay for WWII are still there. The EPA was created to monitor emissions from factories to make sure they don’t pollute our waterways, now it sues families in Federal court for trying to catch rainwater on their own property. Eminent domain was for Governments to build highways and roads, now they can force you out of your home and off your land to build a mall because they want the tax revenues. The commerce clause was to standardize trade across State Borders (like not requiring truckers to change their mud flaps (multiple state laws) for each state they drove through), but now it’s used to nationalize the entire healthcare system. 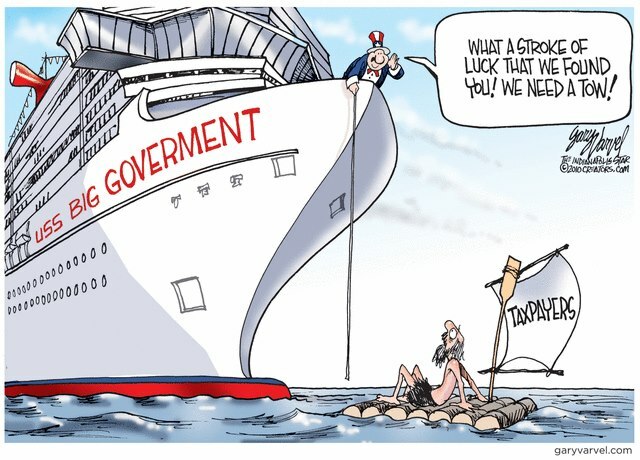 Government – start small, GO BIG. Big Government is always about getting bigger. Big is never big enough. There is always more money they can steal from you, more freedom they can take from you, more control they can have over you. So let’s talk about that control. First it’s a little tax on the internet. Then it’s taxing certain types of activities on the internet more than others (the ones that are okay with government get taxed less). Then it’s controlling what can be said, or sold, or distributed on the internet through coercion by requiring permits, fees, registrations, licenses, IRS review and Government approvals in triplicate. It happens slowly. One nibble at a time. Don’t think it can happen? Mudflaps to healthcare – does that sound natural to you? If you can think it, Government can do it. Taxation. Regulation. Coercion. Censorship – is about – Money. Control. Power. Tyranny. Find your Rep at the link below and tell them you are against the FCC being involved in the internet in any way. Do something. Or don’t – and we can expect the past 60 years of people doing nothing to continue, with the same results we are being crushed under today. Just like the Millennials being angry at the Boomers for allowing this world to happen, our kids will be mad at us for doing nothing just the same.